The Winter Olympics are about to get underway. You know, the ones with actual athletes? While there’s enough snow here in New York to get some freestyle aerial skiing done during lunch, we’d rather stick with indoor Office Olympics. The following made-up events will get everyone at work involved in some kooky team “sports,” and may even boost morale. 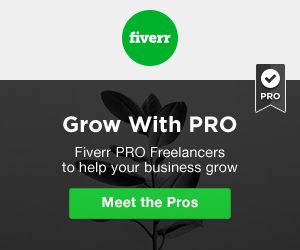 They are most enjoyable when organized using billable time (what? ), and without the knowledge of “the boss” (or whatever you call that guy who signs your check). Cue the opening ceremony and lets get started! The Pencil Pusher. In this game of skill, contestants have 30 seconds to lodge as many sharpened No. 2 pencils as possible into suspended ceiling tiles. Because projectile objects will be flying through the air, safety glasses are recommended. The Banker. Contestants take turns shooting rubber bands at the ceiling, in an effort to bank them into a coffee mug placed in the middle of a conference table. The player with the most “ins” in one minute wins the gold! The Corporate Climb. Players “feel the burn” as they race backward up flights of stairs, competing for the best time (always holding onto the handrail, of course – safety first!). The top three times win medals – and firmer buttocks. The Spin Doctor. In this team event, one teammate is seated in an office chair while two others spin the chair as rapidly as possible for 20 seconds. At the whistle, the seated contestants jump up, and stumble run to a finish line several yards away. Vertigo = hilarity. The Synergist. A pair of teammates is hitched at the legs with packing tape. With three legs between them, they must race to a finish line. Much like a sack race, contestants’ frustration with each other as they attempt to move in sync will result in side-splitting laughter for onlookers! The Stickler. Wasting office supplies is not OK. That being said, this event gives three-person teams 60 seconds to stick as many Post-It™ Notes as possible to one team member. “Sensitive” areas must be avoided (in order to avoid sexual harassment lawsuits), and finger licking for better grip is not permitted. Nor are those tiny-rubber-gripper-thingies. The Multitasker. (Also known as “The Tie-Breaker,” or the “I Should Really Thank My Assistant More”) Basic office know-how will come in handy in this race of skill. Contestants begin with a typing test, which they must print out, pick up, and proofread for errors. Meanwhile, they must answer a ringing phone, take an accurate message, and verbally deliver it to a judge. They must also deliver a cup of coffee to a separate judge – no spilling – and write down a complicated take-out order. The contestant with the best time and accuracy wins! 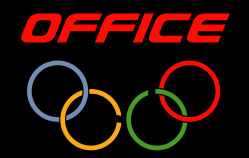 So…while you’re busy “working” on that report, leave a comment below and tell us your ideas for great Office Olympics events. Check our Office Olympics events. Please subscribe for career advice designed to make work better.